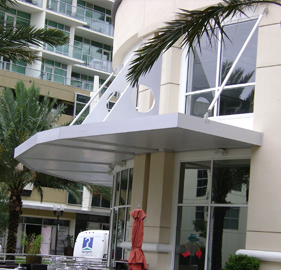 Designed for style and functionality, our suspended canopies provide excellent protection from the elements without the need for columns or foundations. Enhance an entryway. Cover a loading dock. Protect an exit door. No matter what your requirement we have a solution. Perfection has a suspended canopy system to fit the most demanding project requirements. Made from durable extruded aluminum, our soffit deck and internal gutter beam system is engineered to withstand the loads mandated by your local building code. Configurations are customizable and made to order. 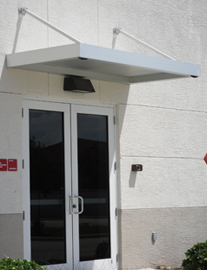 Whether you are looking for a standard support arm or a hanger rod system with decorative support brackets, we can customize a design and build a suspended canopy to fit your specific project requirements. 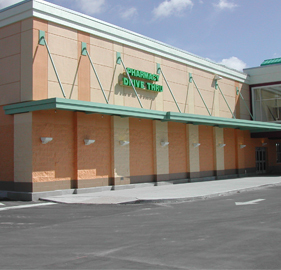 Contact a premier design team member to discuss the requirements of your project. Have questions about a design? Email us your idea and we’ll help develop a suspended canopy system that meets your requirements and all the structural standards of your local building department. One of our design team members would be glad to help. Call 800‐238‐7207 or email DesignTeam@perfectionarch.com. 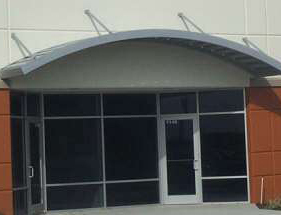 Perfection Suspended Canopy Systems are available in standard and custom finishes. Select your finish based on the project location, finish durability and color selection. Click here to see a list of available finishes for all Perfection Architectural System products. Experience the Perfection difference. Do business with a company that still believes in customer service and a personal touch. We want to earn your business!